As the lazy days of summer begin to wind down, we want to maximize our time spent enjoying it. Spending less time in the kitchen means more time for outdoor pursuits, or perhaps relaxing on the patio with a glass of wine watching the sun dip below the horizon. However you spend your summer evenings, a quick meal can get you where you want to be in no time. Sure, you could get takeout on the way home. But what if you could make something in the time it takes to stop at the local deli? 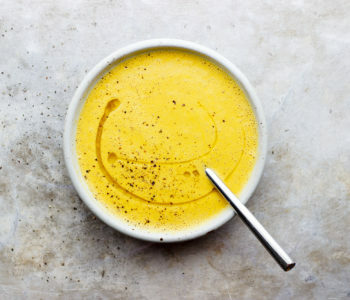 Our culinary team came up with a summery soup using ingredients you probably have on hand this time of year. 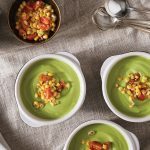 We combine the beloved summer staple, zucchini, with avocado for a velvety soup topped with a smoky, roasted corn salsa. 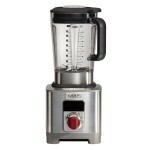 Using the blender to make soup is very quick and efficient. 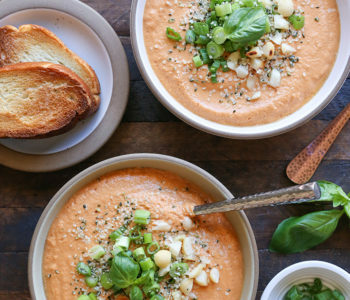 Once you cut everything, the soup is ready to serve in 6 minutes flat (we timed it, really). No pots, pans, stirring, or simmering required. Grill a few extra ears of corn for the salsa on the weekend. The salsa is also a great topper for tacos or grilled fish. 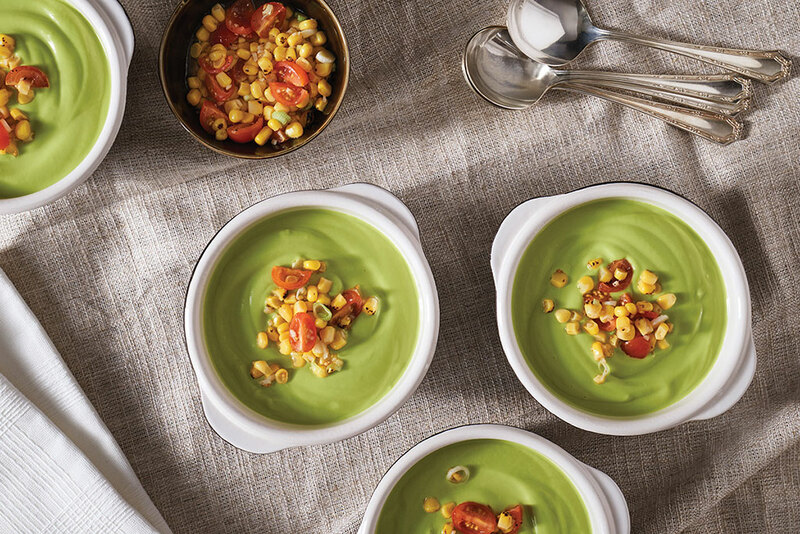 Make the salsa: in a small bowl, combine all salsa ingredients and set aside. 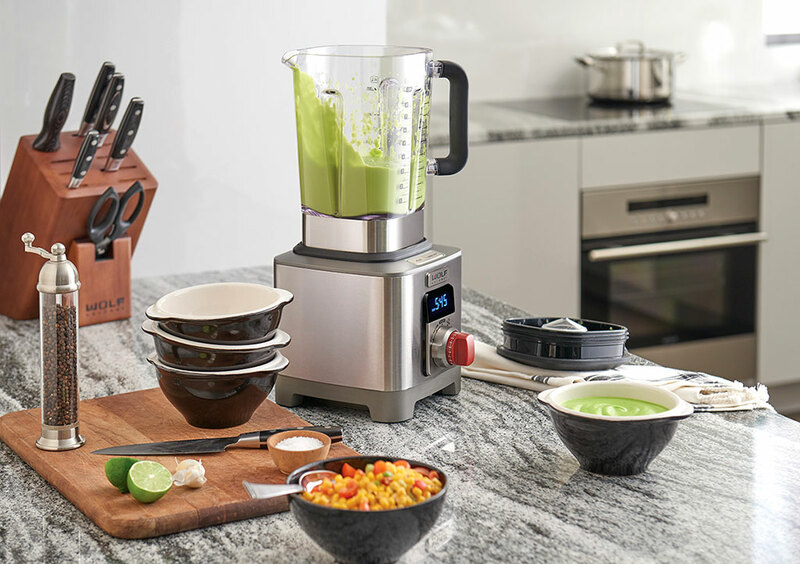 Make the soup: add all soup ingredients to the blender in the order listed, except the lime juice. Select the SOUP setting and press start. 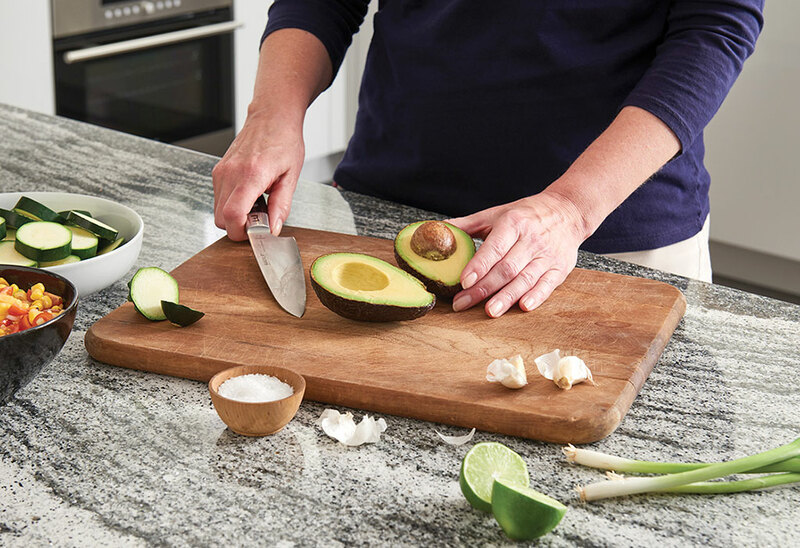 When cycle is complete, add lime juice and pulse several times to combine. 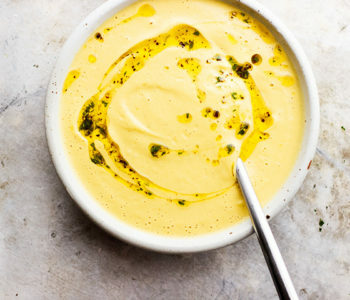 Divide the soup among bowls. Top with a spoonful of salsa and serve.